Four ounces (4 ozs.) 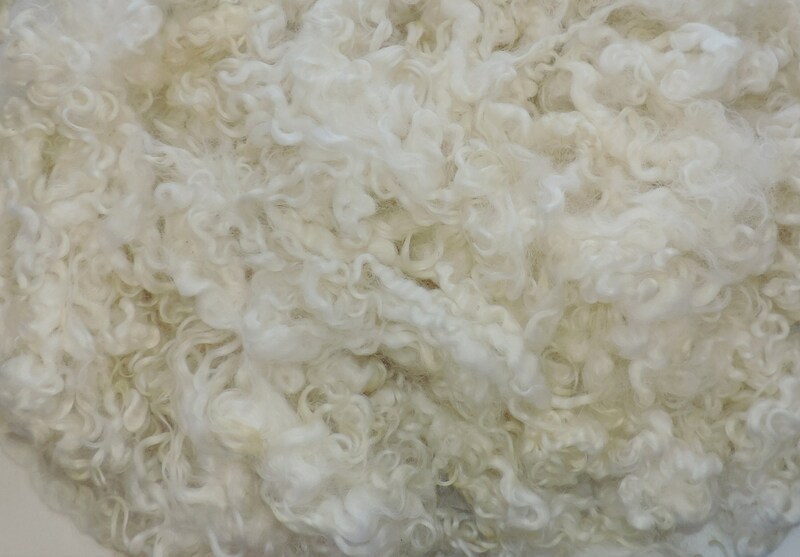 of lovely, soft, lightly washed, Cotswold wool fleece with locks about 4 inches in length. 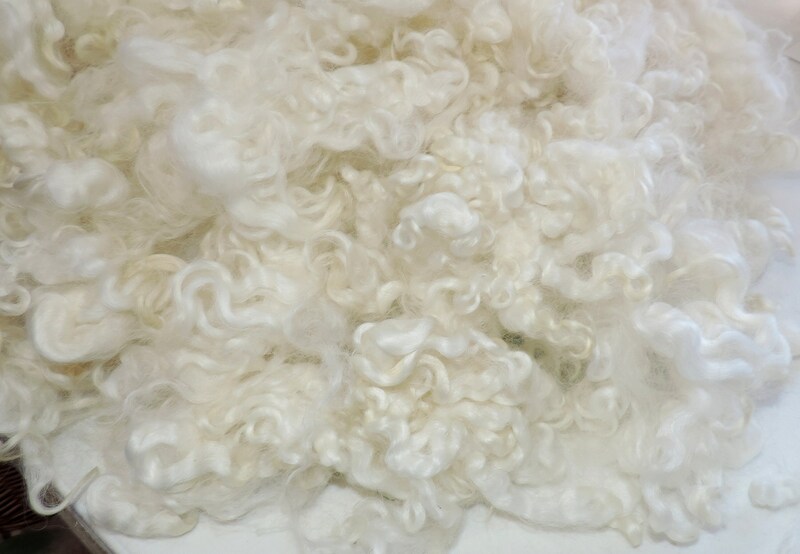 Beautiful, soft, lustrous locks that are a natural white. 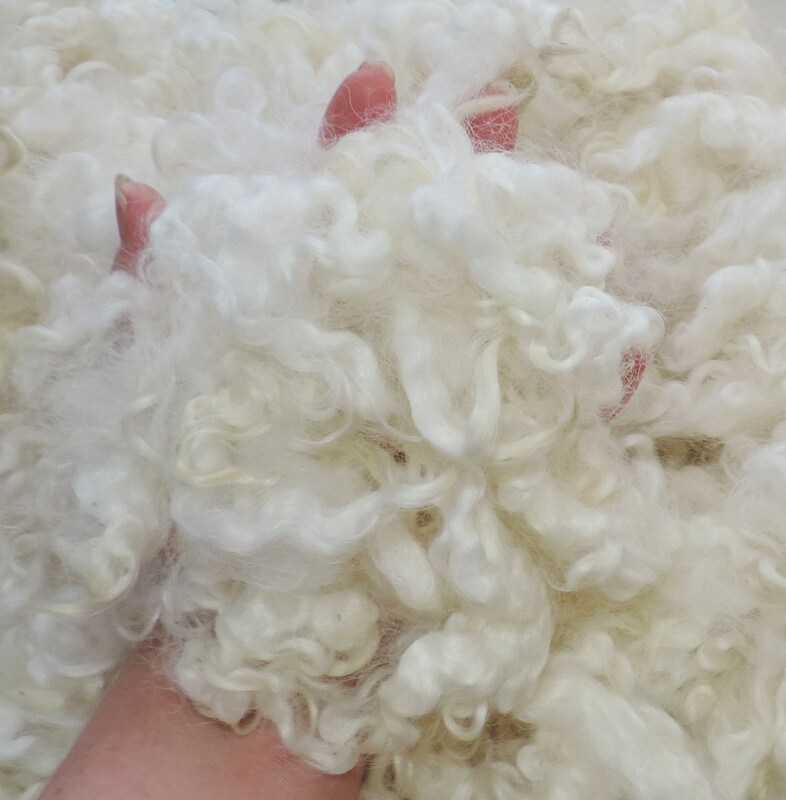 They can be used for dyeing, needle, wet or Nuno felting, nature scenes, landscape felting, doll hair, Gnomes, Santa beards, lock spinning, art batts, weaving, embellishments, spinning add-ins and more. Hand washed in my home studio in the USA. . These locks are beautiful...the curl is magnificent! The color is sweet...will purchase from Fiber Queen again. Arrived very quickly, and the perfect product for me. Excellent used it for a mountain goat. 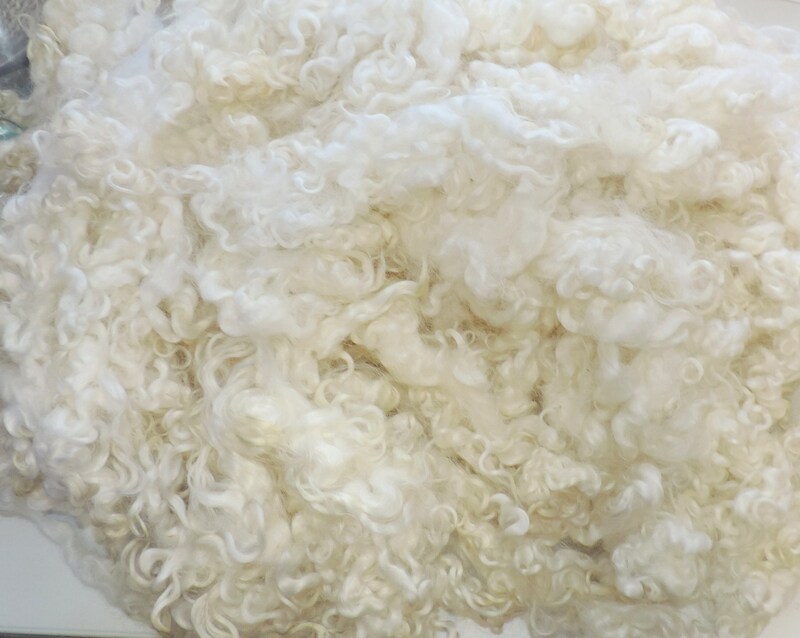 Nice wool. Will return for more! Love these locks. 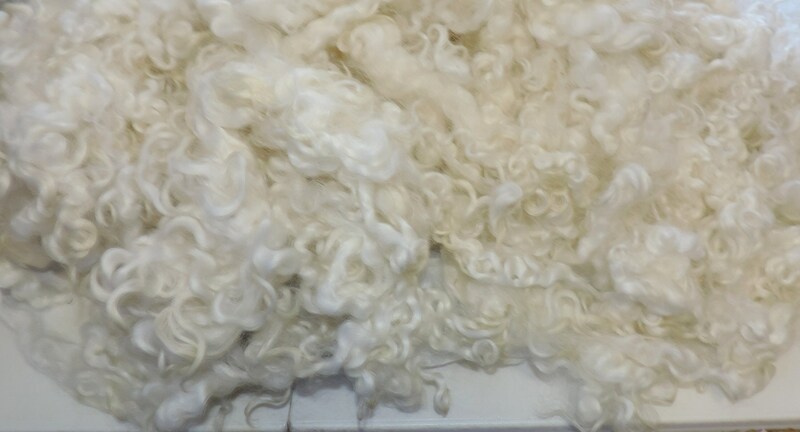 They are so soft and have beautiful curls. 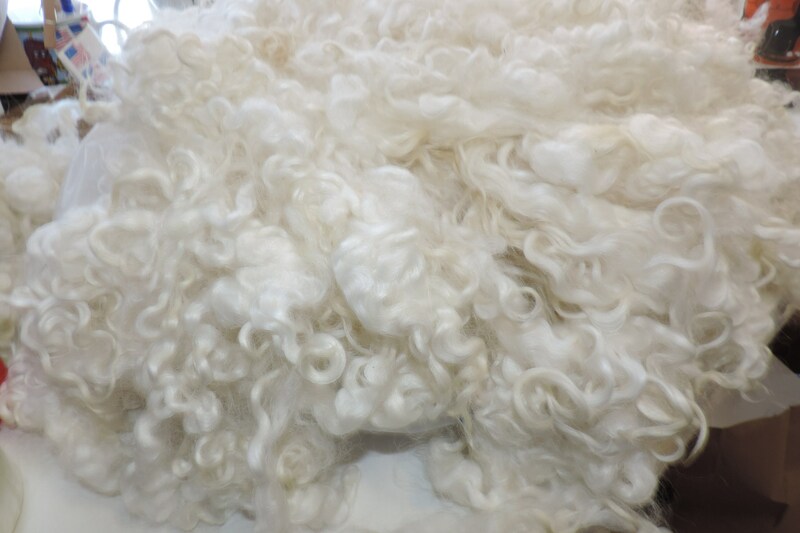 Very pleased with the service and wool. Thank you!